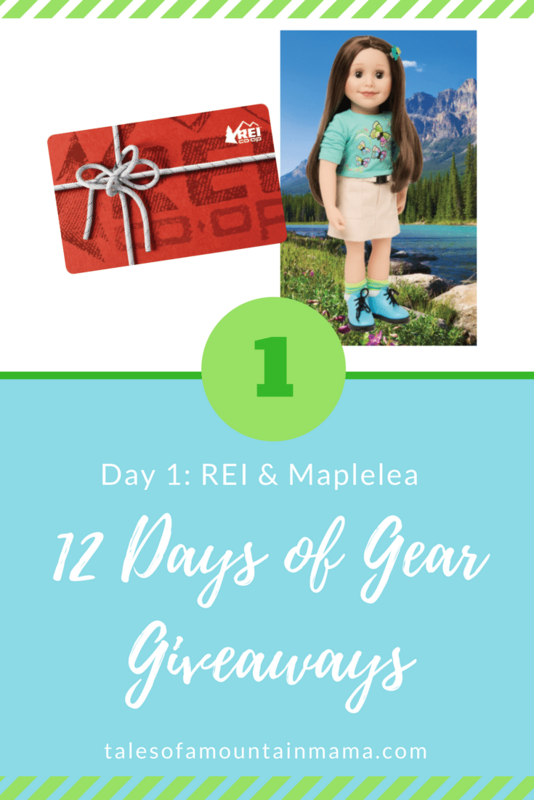 Welcome to Day 5 of our annual 12 Days of Gear Giveaways! 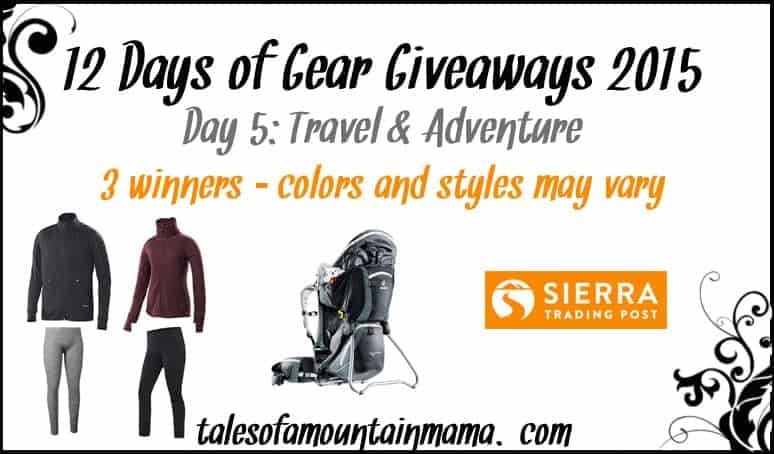 If you’re just finding us, be sure to click here to find all the giveaways. 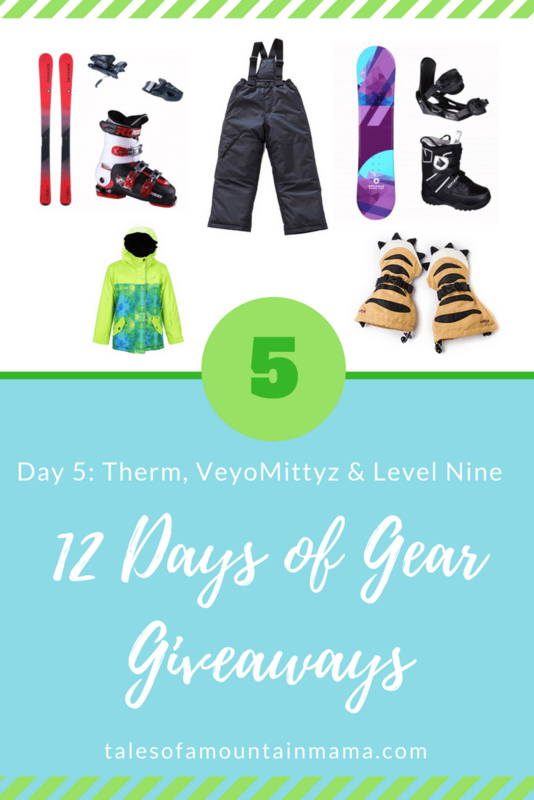 Today you have a chance to win from Therm, VeyoMittyz & Level Nine! This is another BIG day! Therm: We have become huge fans of this New Zealand company over the past year. Their All -weather hoodies are worn nearly every day here and we have been very impressed with their new snow/ski apparel for kids! They are warm, move well for kids and are truly weatherproof. We also love that their snow pants have detachable bibs/straps. VeyoMittyz: When people ask me my favorite mittens for toddlers, these are them. They are soft and supple, keep hands very warm and actually stay on. Plus, they come in a bunch of really neat designs that kids like to wear. They’re perfect for skiing. Level Nine: I really and truly can’t say enough good about this ski shop. We first found them years ago when looking for some tips on how to teach kids to ski. Then we realized that they had the best deals for kid ski packages and really focused on getting families on the slopes. We love that. Their customer service is outstanding and I trust their ski suggestions impeccably! AND they’re hooking us up BIG TIME this year with the giveaways. 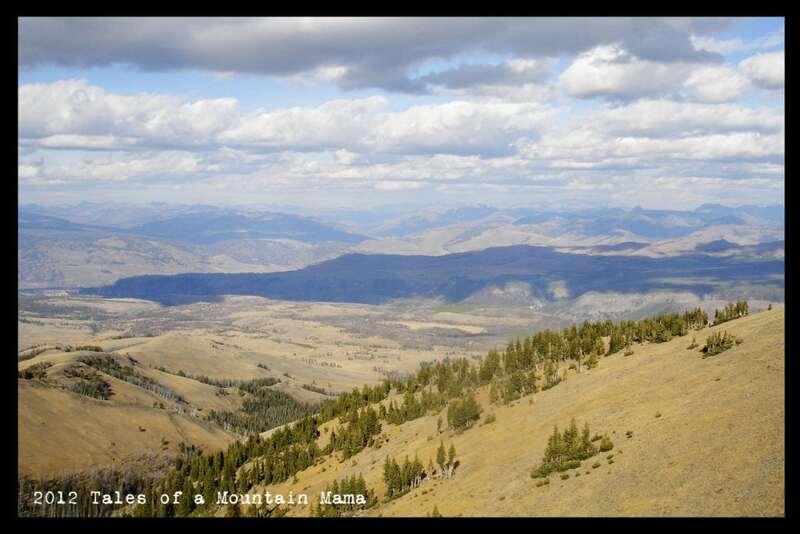 We get to outfit a littler skier AND a little boarder. We’re so psyched. Note: The Roces Adjustable ski boots are life-changing if you’re a skiing family. They fit kids for 2-3 years as you adjust them bigger (or smaller for the next kid!) All our kids ski in them and they make it super affordable for growing feet. Those Mittyz are seriously adorable! how cool are those adjustable ski s!